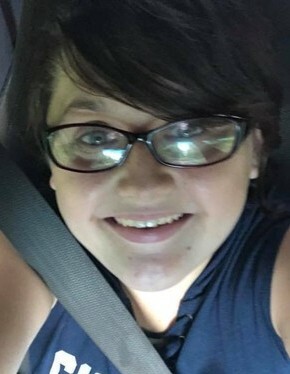 Michelle Joy Summer, age 15, of Auburntown passed away Tuesday, August 21, 2018 at Vanderbilt Hospital. She was a native of Rutherford Co. Survivors include her mother, Bonnie Wilson Summer of Auburntown; Grandmother, Kelli Hayes of Auburntown; Grandmother & Grandfather, Tommy & Shauna Wilson of Gassaway; Step-Grandfather, Teddy Curtis of Woodbury; Aunt & Uncle, Josh & Tracy Tallman of Murfreesboro; Uncles, Joseph Curtis of Auburntown, Danny (Janette) Mayo of Murfreesboro; Lucas Mayo of Murfreesboro, & Matthew Mayo of Nashville; Cousins, Cooper Tallman, Emily Davis, Elizabeth Jones, & Evelyn Mayo; and Great Aunt, Laura Pirkle of Manchester. Michelle was a member of the Dry Creek Baptist Church and was saved on July 15, 2014 and baptized July 20, 2014 by Danny Mayo. Funeral Services will be 3 PM Thursday, August 23, 2018 in the Chapel of Woodbury Funeral Home with Bro. Donald Owens & Bro. Danny Mayo officiating. Interment will follow at Fairview Cemetery. Visitation with the family will be from 12 Noon to 3 PM Thursday, August 23, 2018 at the funeral home.